Tom Du Caju and his colleagues at Du Caju Printing & Packaging in Belgium are describing their experiences in food packaging. Du Caju is located in Erpe-Mere, just west of Brussels. With almost 50 employees and annual net sales of EUR 10 million, the company regards itself as a medium-sized Belgian converter. Of the packaging Du Caju produces, 85 per cent is food related and 11 per cent is chocolate packaging. 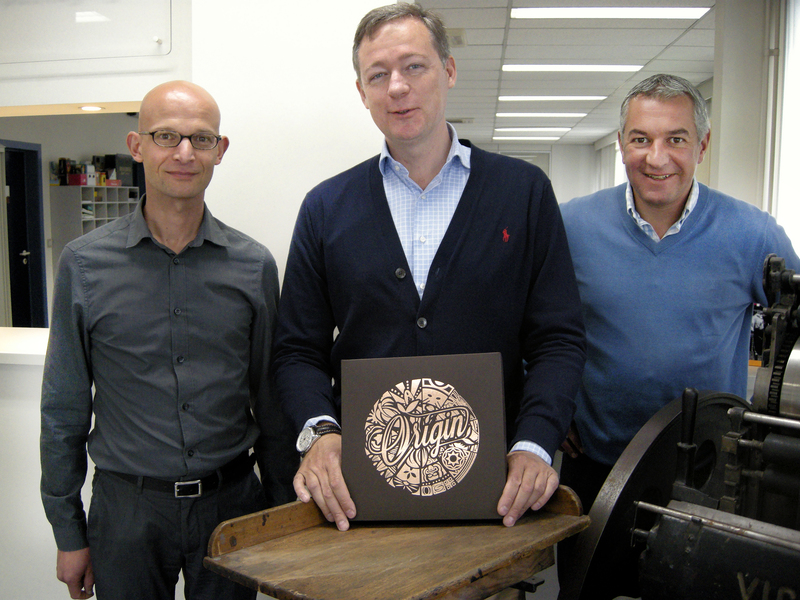 Du Caju has been working with the world’s largest chocolate producer Barry Callebaut, for more than 25 years. The converter is regularly asked to create sophisticated promotional packaging for Callebaut as a sales tool and brand enhancer. The latest creation, The Origin Box, has an outer box made of a brown-coloured speciality paper from James Cropper, Colorscope Bitter Chocolate 350 g/m2. Inside the box are samples of chocolate from many countries. Each sample is packed in a wedge-shaped box made of Incada Silk 300 g/m2 from Iggesund Paperboard. 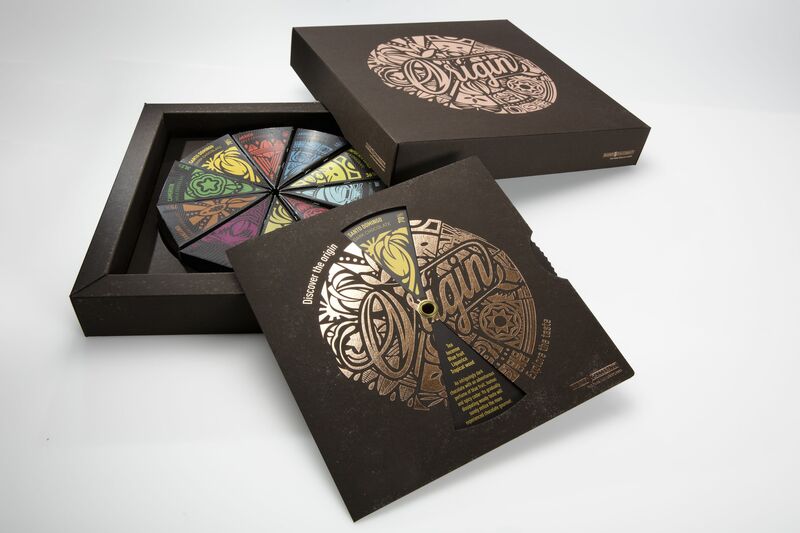 The box also features a wheel giving information about the different types of chocolate. The wheel is printed on Invercote Creato 400 g/m2, also from Iggesund Paperboard, and is covered with the same material as the outer box. The brown material has a very matt appearance and a very natural look. The brown colour and the uncoated sides give a very good indication of the look of chocolate.The Origin Box was a finalist in the ECMA/Pro Carton European packaging award competition in 2014. As a purchaser he must also keep up to date with both the environmental debate and the discussion about how mineral oils in recycled-fibre-based materials can contaminate packaged foods.